When the time comes for your new kitchen to be fitted, if possible it is advisable to consider decorating your kitchen ceilings and walls first. Labour costs will be a lot less when decorating a blank space as opposed to after the kitchen has been installed. However once the kitchen has been completed it is then a simple process to touch up any affected areas e.g. where tiling has been done, doors hung and units and woodwork fitted. Obviously you can decorate once your kitchen remodel is in situ but laying and suspending dust sheets and applying masking tape are all time consuming yet essential. Nobody wants tiny paint flecks on their units, work surfaces and flooring! Cutting in around and above the units, tiling or shelving and getting behind the fridge freezer all add to extra time and, ultimately, cost. Also the kitchen is the one room you can’t do without so it’s highly unlikely the dust sheets can be left in place over night therefore the whole process begins again the following day which will extend the time taken to complete the job. There are a myriad range of paints that are marketed for kitchens, without taking into account colour schemes. Terminology includes grease/stain resistant, durable, wipeable, endurance, hard wearing, kitchen/bathroom paint and the list goes on. These are all good products that the leading paint manufacturers provide, however in my experience as a painter/decorator there isn’t one that withstands small children and dogs. 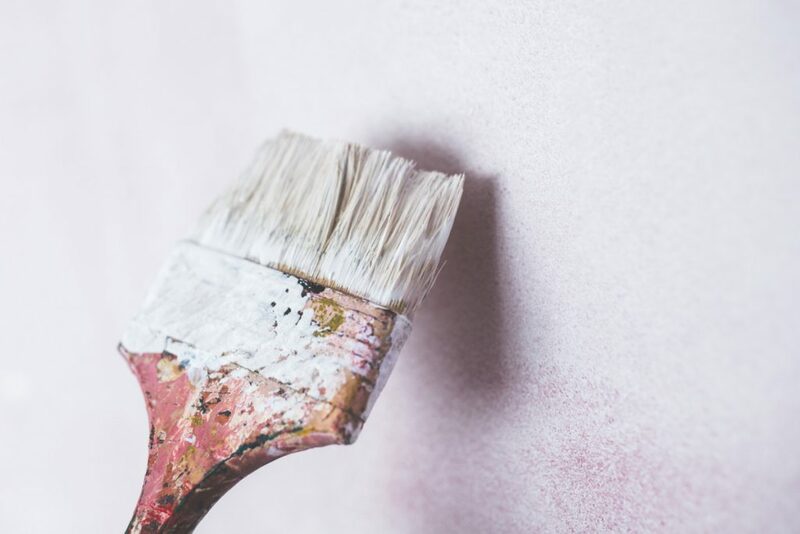 Generally speaking two coats of emulsion will be sufficient to achieve the desired effect although if you’re applying raw plaster you must first apply a sealer or mist coat. When painting over a previously painted dark colour, it’s likely a third coat will be necessary. This rule of thumb applies to any room in the house not just the kitchen. However when maintaining an existing colour it can be possible to apply one coat just to freshen the walls up. All specialists paint shops and some DIY stores will have brochures and colour charts to give you inspiration but ultimately your colour scheme will be influenced by your kitchen design. For more ideas why not have a look at Black Rok’s kitchen styles.